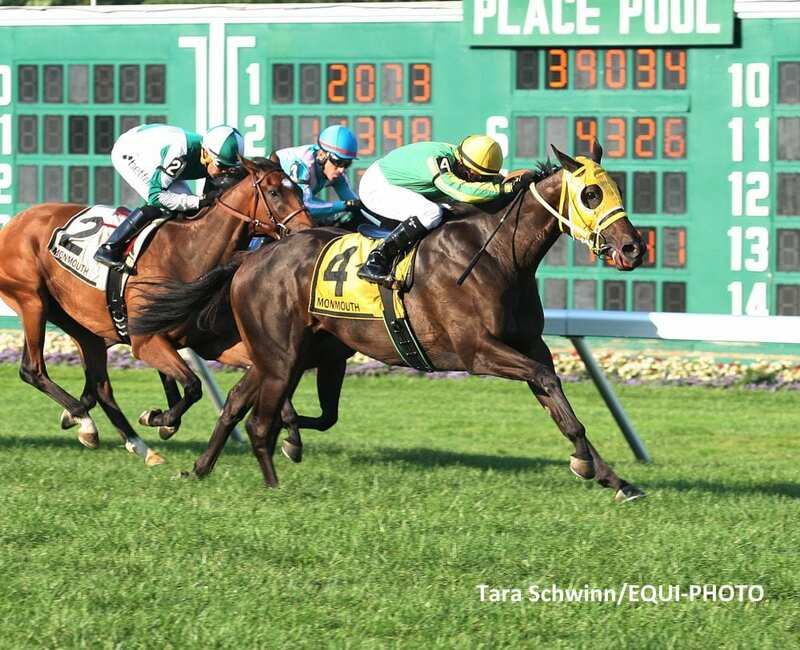 Tricky Escape broke slow and was shuffled back going around the first turn before saving all the ground and splitting horses late in the stretch to take the Grade 3, $100,000 Violet Stakes by a length and a quarter Saturday at Monmouth Park. Trained by Lynn Ashby, Tricky Escape stopped the timer at 1:49.91 for the mile and an eighth on the firm turf course and paid $12.40, $5.60, and $3.40. Light Up Our World completed the $45.20 exacta as the 2-1 favorite and paid $3.20 and $2.60. It was just a head back to Gianna's Dream, who paid $3.20 to show. The 4-year-old daughter of Hat Trick out of the Petionville mare Island Escape boosted her record to 3-4-2 in 11 career starts. It was the first graded stakes victory for the filly, trainer and owner. Live racing continues at Monmouth Park on Sunday, August 20 – gates open 11:30 a.m., first post12:50 p.m. This entry was posted in Racing and tagged Chris DeCarlo, hat trick, lynn ashby, Monmouth, monmouth park, tricky escape, Violet Stakes by Press Release. Bookmark the permalink.